Cozy, Comfortable and Sparkling Clean housekeeping units within 3 minutes of the Finest Warm Water Beaches. Economical accommodations only a short drive to the shopping centers, restaurants, churches, theatres, golf, fishing and boat trips to the Islands. 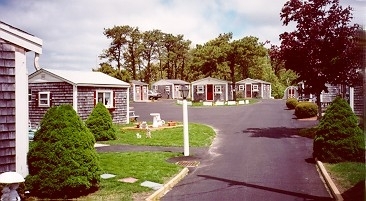 Each studio unit is equipped with stove top, refrigerator, cooking utensils and dishes. Bed linen rental available. One blanket is provided for each bed. All other linen is to be provided by the guest. The cabins are large, heated one room units with a double bed, kitchenette and bath with shower. Extra beds are available. Picnic tables and grill available. Non-Smoking Rooms Available. Additional Bed Available, Linen Rental Available. One third deposit required on all reservations. Balance will be due on arrival. Two week cancellation notice required. Check-in time is 2:00 p.m. with check-out time at 10:00 a.m.